Here is another example trade using the Traders Action Zone strategy. This stock got me real excited because it was easy to define my risk. Here is a stock that got me real excited. 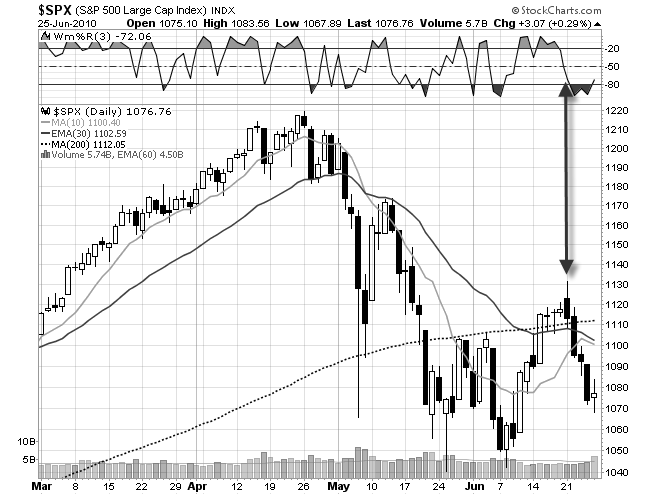 On an intra day basis, the S&P 500 was overbought. But, by the end of the day, the market tanked moving Williams %R out of overbought conditions. That is fine. 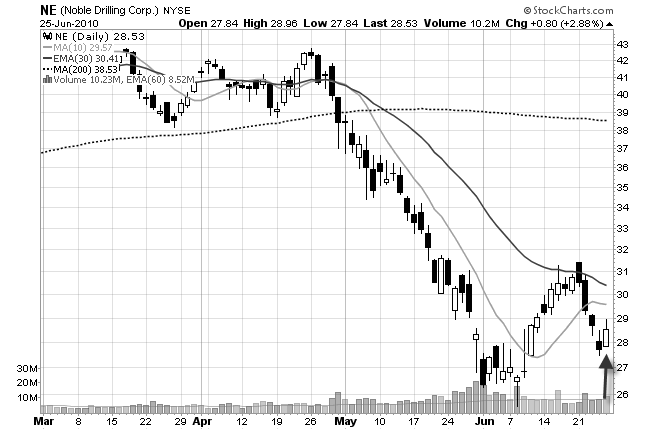 By looking at price action you can tell that this chart is bearish. 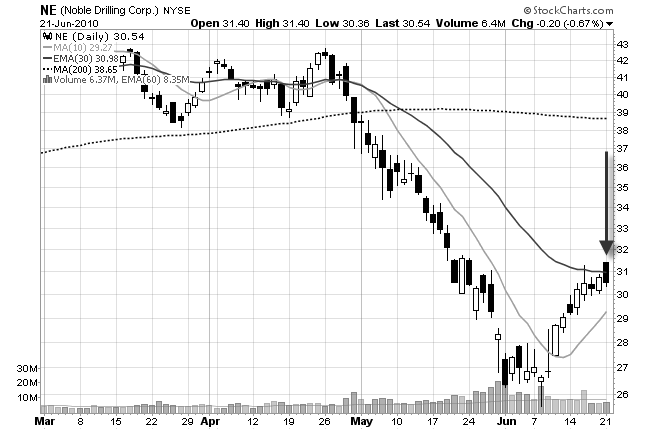 The bearish engulfing candlestick pattern is a dead giveaway. The arrow is where I shorted this stock and that double top is what is going to protect me from a loss (my stop loss will be above that). Now look back up at the daily chart. Do you see the double top now? Look for that when you are sifting through potential setups. This was an easy swing trade for me. It was easy because my initial risk was so easily defined. 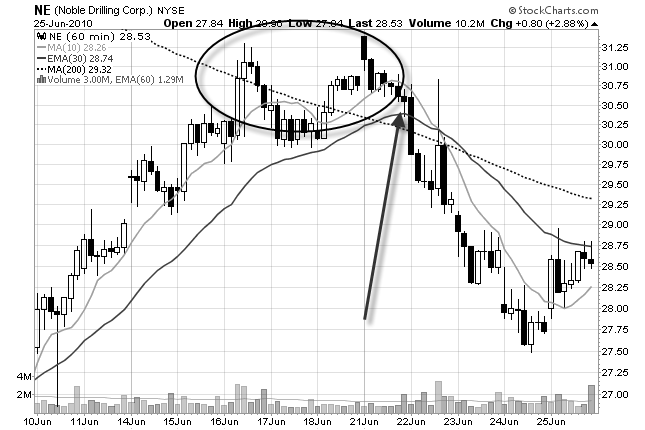 If this stock did move above that double top, then the trade would be considered invalid. And I would have taken the loss.